Is this really going to help with weight loss? 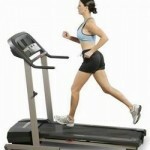 It seems that many people believe that cardiovascular (“cardio” for short) exercise is necessary for weight loss. The reality is that you can lose weight without doing a second of cardio if you want to. I’m not saying that you should avoid cardio, but as far as weight loss is concerned it’s not a requirement. There are many other health benefits to doing regular cardiovascular activity but physiologically and psychologically. Activity and movement is good for your overall sense of well being and there are innumerable benefits that can’t be listed here…unfortunately weight loss isn’t one of them. Losing weight is dependent upon creating a caloric deficit. In other words, burning more calories than you consume. With that said it’s obvious that exercising and ‘cardio’ can help you burn a few more calories…BUT, and this is a big BUT…it’s much easier to overeat far more calories than you can ever exercise off. So what is the better option? Find a way to avoid the muffin, or commit to a 90 minute cardio workout? In other words, you can’t just fix more with more. You cannot simply decide you want to overeat 1000 calories today and try to exercise off 1500 calories. It’s simply not possible. It’s a much better proposition to shoot for a calorie deficit below BMR (basal metabolic rate) by eating less calories…and then consider any extra calorie loss you get form exercise as a ‘bonus’. At least this way you allow some wiggle room for the inevitable cookie attack or ice cream meltdown that tends to happen throughout a busy stressful work week. In todays first ever Venus Index podcast we tackle this question and try to determine how you can use cardio to help compliment your weight loss efforts. John is the co-founder of Venus Index, chief developer of the Venus Index workouts and our supplement industry insider. He will show you exactly how to work out and (not) eat to build your ideal body shape using simple and easy to follow Venus Index approach. Thank you guys for saying this again, and again, and again. It still takes me some time to remember how important what I eat is to my weight loss. I’m tired of speed walking and whatnot to get nowhere because my diet is poor. Also, for people who are larger, like myself, a lot of cardio can be hard on your joints, and it’s better to get the weight off before you start doing intervals and things of that nature. Great podcast. Keep ’em coming! I’d like to thank you guys for touching on the social side to eating and the sabotaging and discrediting that sometimes overweight friends, or just people who are not actively trying to improve their health, can project on us. The think to remember though is this: it doesn’t make them bad people and in fact, they likely don’t know that they’re doing it “to you”. After all, most people try to help out and have your best interests at heart. The true key is to never let it become an issue in the first place. Thank you so much for this podcast! It was so awesome and eye-opening! I don’t feel like I am so alone in my thoughts and thinking anymore. You really helped me see that the struggles I have had, others have and do have too. As Brooke said too, the social side of it has been hard for me. Last year I lost 50 pounds and I got some nice comments but I got just as many, if not more, negative comments and it really hurt. It helps me to know that they are really just saying those things to help alleviate their guilt over not losing weight. I got asked all the time what I did to lose weight and I always said, I ate less and moved more. Simple and to the point, but that wasn’t good enough. They wanted a shortcut or a magic cure. 🙂 There isn’t one, so giving me their list of excuses as to why they couldn’t eat less or move more got them off the hook from losing weight. Now that I have kept the weight off and would still like to lose a few more pounds, I get comments about being vain. I just want to the be the best me I can be. I am not judging them about their choices and would prefer they would leave me alone too but it just doesn’t seem to happen that way. As you both said multiple times, and I need to hear over and over again, it all about the calories! I need to cut the calories in order to lose weight. That is ALL!! Guys, I am really blown away by the quality of your podcasts. I really like how you go into the psychological aspects of weight loss and dieting. Great stuff. I am definitely looking forward to more.